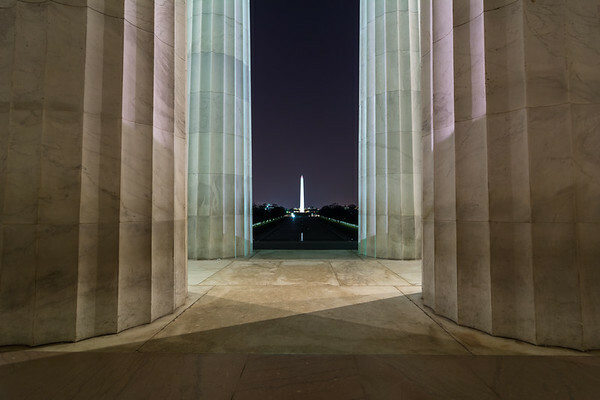 The Washington Monument glows brightly across the National Mall, as seen from inside the Lincoln Memorial. 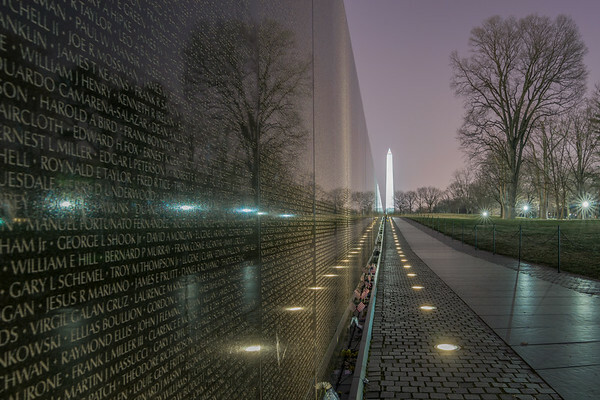 This is a section of one of the two walls that comprise the Vietnam Veterans Memorial. It is a solemn and moving place, made even more so by the solitude of the night. This is my favorite of the images I captured whilst visiting the National Mall. 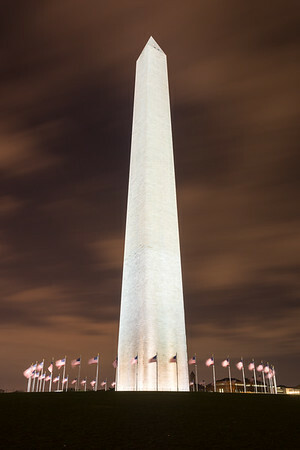 Captured late at night, the green color comes from the ambient lighting around the monument. 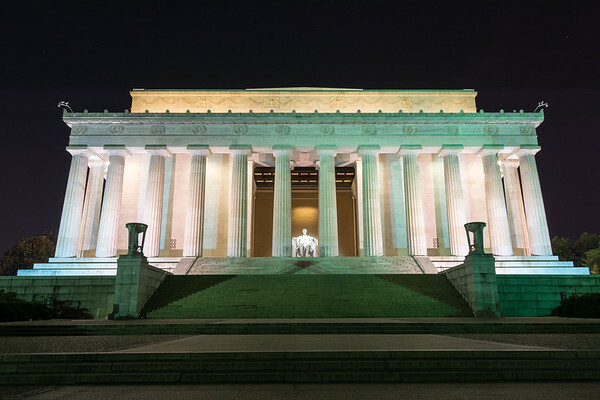 This is my personal favorite of the major DC monuments. 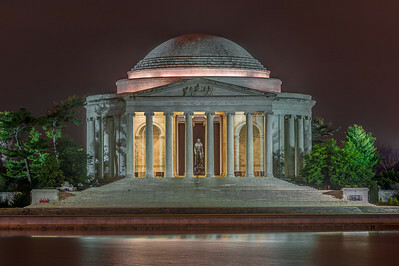 This is a 3-shot HDR view of the Jefferson Memorial, as seen across the tidal pool. A closeup view of the Jefferson Memorial, set against a threatening night sky. 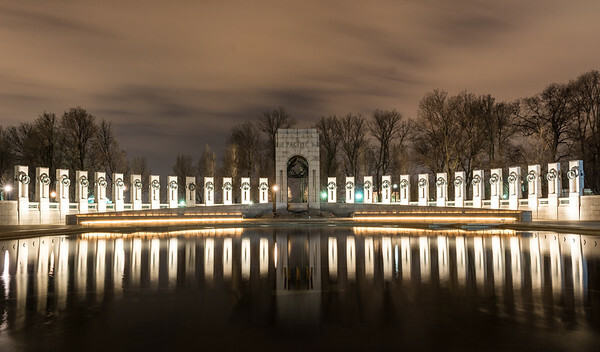 This is the Pacific half of the majestic WWII memorial. This was my last shot of the night, captured against a fast-moving sky that quickly became a storm. The U.S. Capitol building, as seen on a bright, sunny afternoon.